The external screen can be connected to the CamOne infinity using the provided 10 Pin cable. 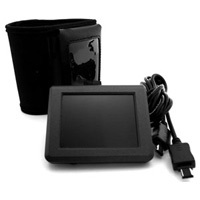 It delivers pin sharp live view and offers a wide variety of uses. The external screen can also be connected to the receiver of the 5,8 GHz transmission set – thus, the live video can be transmitted over a distance of up to 300 m.